Sadly, author, artist, renowned disability activist Judith Snow has died. In the 1980’s she successfully advocated for individualized funding for personal assistance so that government funding would go directly to the people who needed the support. Judith was also a member of DisAbled Women’s Network (DAWN) Ontario. She is credited with inventing the support circle model of building relationship-based assistance for people with intellectual disabilities. Her accomplishments include developing Canada’s first service to support students with disabilities in post-secondary education. A trainer and educator, Judith led training programs in Canada, the US, Europe and the Caribbean. Her publications include “What’s Really Worth Doing and How to Do It” and “From Behind the Piano” co-authored with Jack Pearpoint. In 2003 Judith developed Laser Eagles Art Guild adapting a technique invented by Tim Lefens that allows people with limited mobility to paint. Her own work has been exhibited at the Royal Ontario Museum. 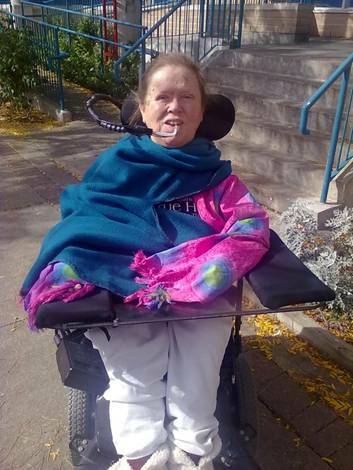 Judith’s passing represents a great loss to the Canadian and indeed international disability rights movement.